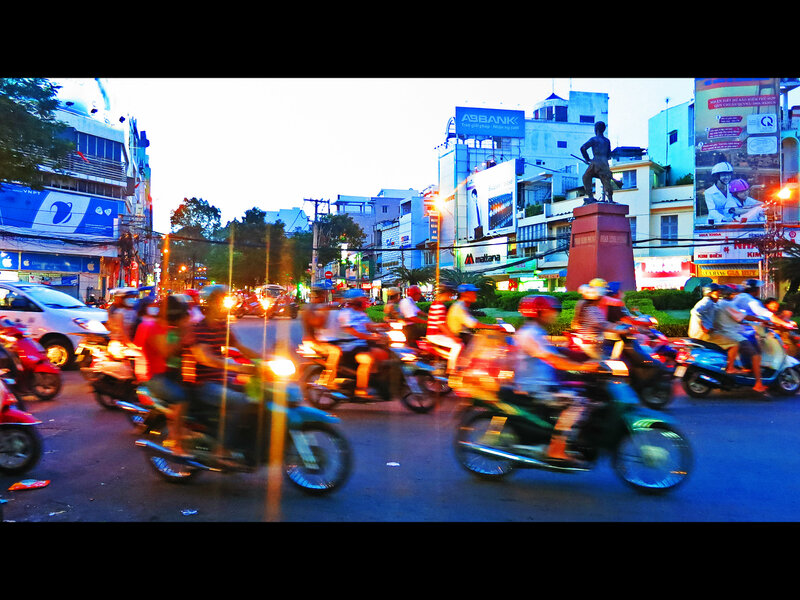 Ho Chi Minh City (Saigon) – After years of planning to backpack South East Asia, we are actually doing it! June 7 was the much awaited date and off we went for our trip. We almost missed our flight (as usual) after mad dashing through the airport. 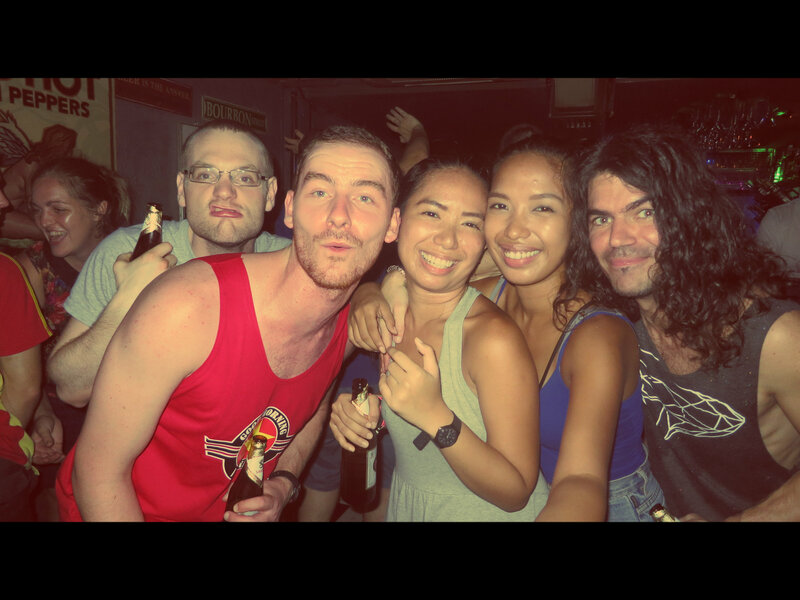 Our friend, Mica, is joining us for our trip throughout South East Asia. Lucky us because we have a resident doctor in the house! We finally landed on Tan Son Nhat International Airport around 12 midnight. Be careful when choosing a cab going to your destination as we got ripped off by paying 300,000 VND (roughly Php 620) going to the backpackers’ district, Pham Ngu Lao. The usual cost for a metered taxi to the area is 150,000-180,000 VND (roughly Php300-400). It’s wise to choose either Mai Linh or Vina Sun cabs for these are the trusted ones. Make sure to check if the meter is on or agree on a fixed rate before boarding the cab. Fixed taxi rate is around 200,000 VND (roughly Php 400). Tan Son Nhat International Airport. I even won a Cebu Pacific wallet during the in flight game. Teehee! 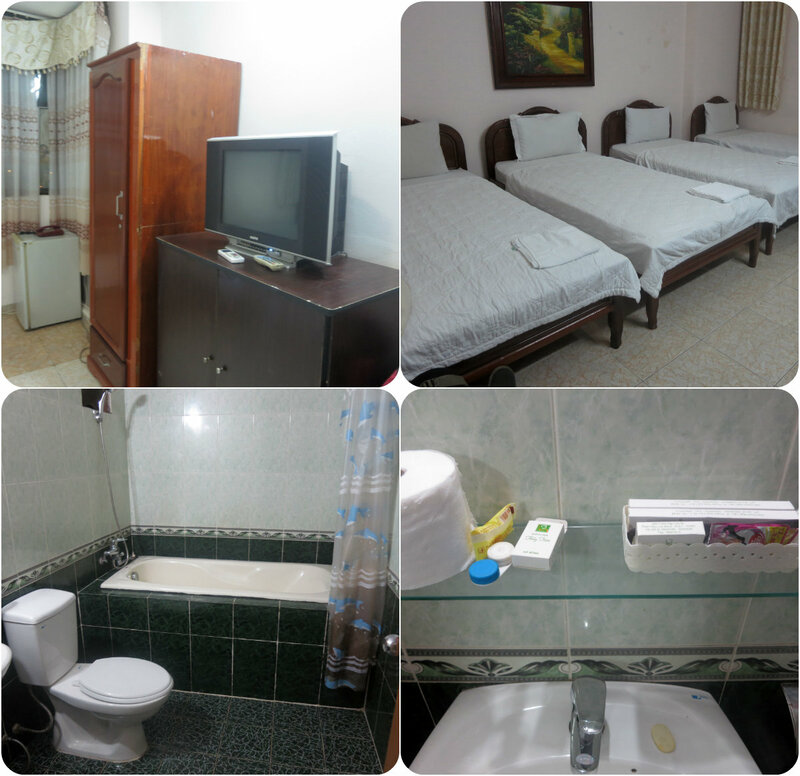 We stayed in Pham Ngu Lao, District 1 which is the backpackers area in Saigon. There are tons of cheap hostels here to choose from and we stayed in Thuy Tien hotel for $8 (roughly Php 350) a night, private room good for 4 pax. The hotel is conveniently located near Pham Ngu Lao center and the market. Price is a bit high though for the low season as you can get a room for $5 (roughly Php 220) a night but we arrived late and just wanted to settle in. We transferred to a cheaper hotel the next day for $5 per person, private room with AC. Drinks in Pham Ngu Lao are really cheap. 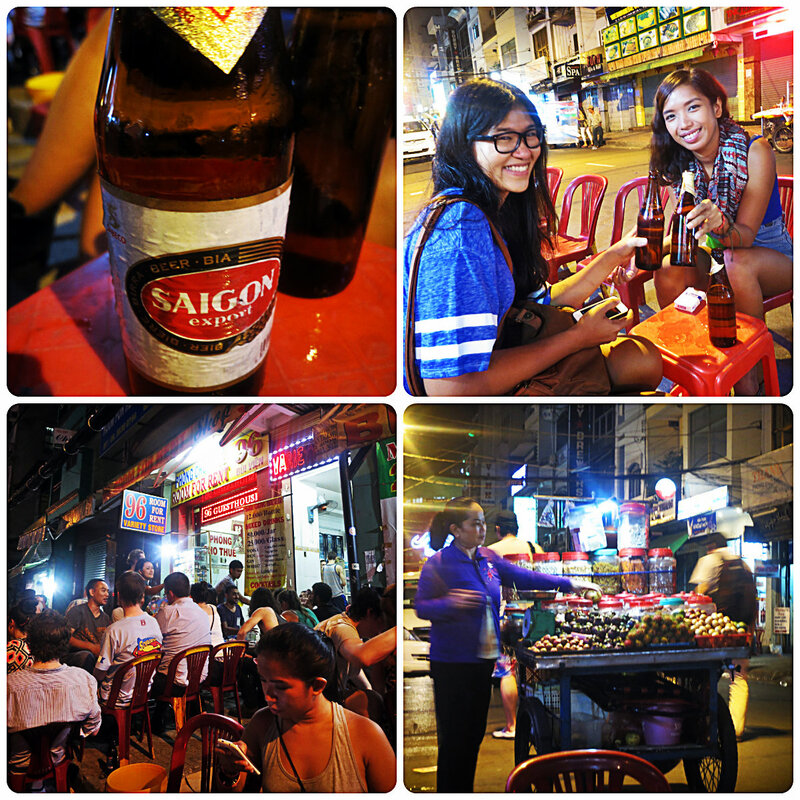 A bottle of the local beer, Saigon Red, is just 12,000 VND (roughly Php 24) on a side street bar where tons of mini chairs and tables are lined up and gets packed at night. Saigon welcomed me with open arms as my sling bag got stolen by a speeding motorbike during our first night, so be wary! Always stay alert and it’s better to put your money in your pocket and not to bring any valuables with you when going out at night. So instead of ruining our first night and heading back to the hotel, we decided to check out T&R Tavern which luckily was packed that night and we got to meet new friends and night/morning capped at Boston Bar. 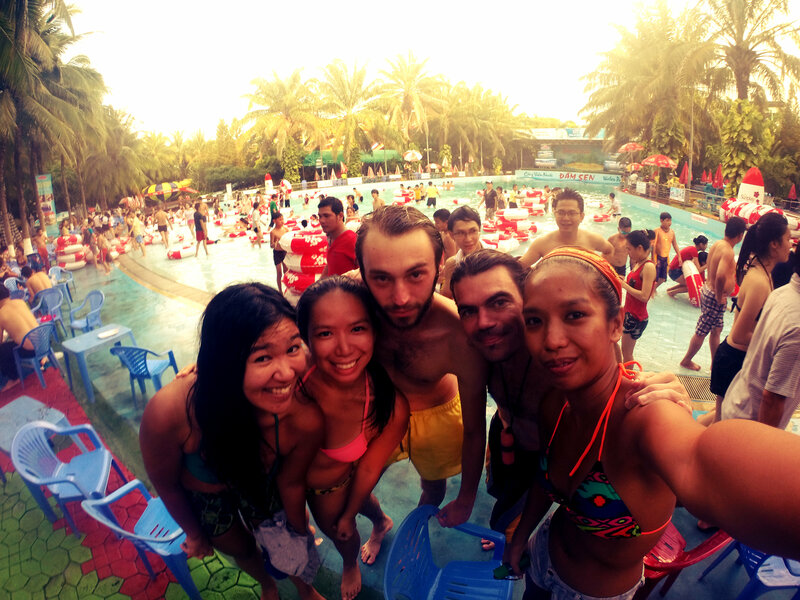 Next day was spent curing our hangovers in Dam Sen water park with Eric and Benoit. Entrance is 110,000VND (roughly Php220) and it is around 20 minutes away from Pham Ngu Lao. It was a Sunday family day and the waterpark was packed with families and full of locals with just a handful of foreigners in sight. It was a fun day trying all sorts of water slides and activities. If you want to go around and check out the attractions around the city, make sure to do it early in the morning or in the afternoon as most of the places close early such as the Reunification Palace and Pagodas. Nothing much to see in China Town so I suggest you skip it. Saigon is teeming with really good food with cheap prices. Street food is everywhere and it is better to eat here than the restaurants in my opinion. 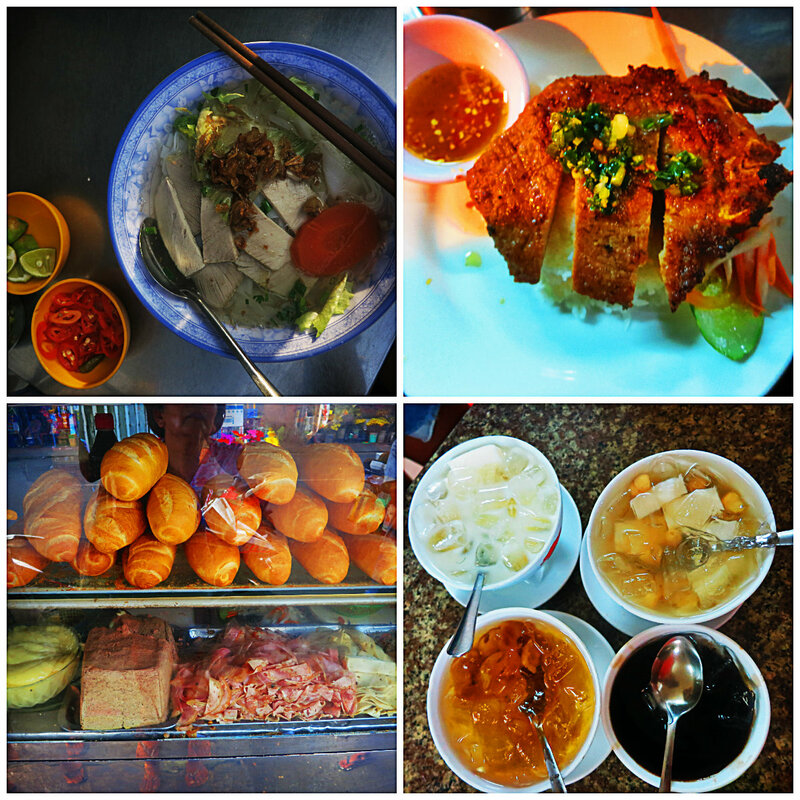 We only ate once in a restaurant during our stay in Saigon and the food was just so so. A typical full meal starts at 25,000 VND (roughly Php50) and Bahn Mis start from 10,000 VND (roughly Php20). Don’t miss the Pho, Vietnamese coffee and Banh Xeo (Vietnamese pancakes). There is so much good food here that I’m already starting to gain weight! Such good food in Saigon and so cheap! And of course in Vietnam there are no rules when it comes to street crossing and driving. If Manila drivers are reckless, it is way crazier here with the motorbike drivers just zooming past you. They wouldn’t care if you’re crossing the street so you better run! Haha! 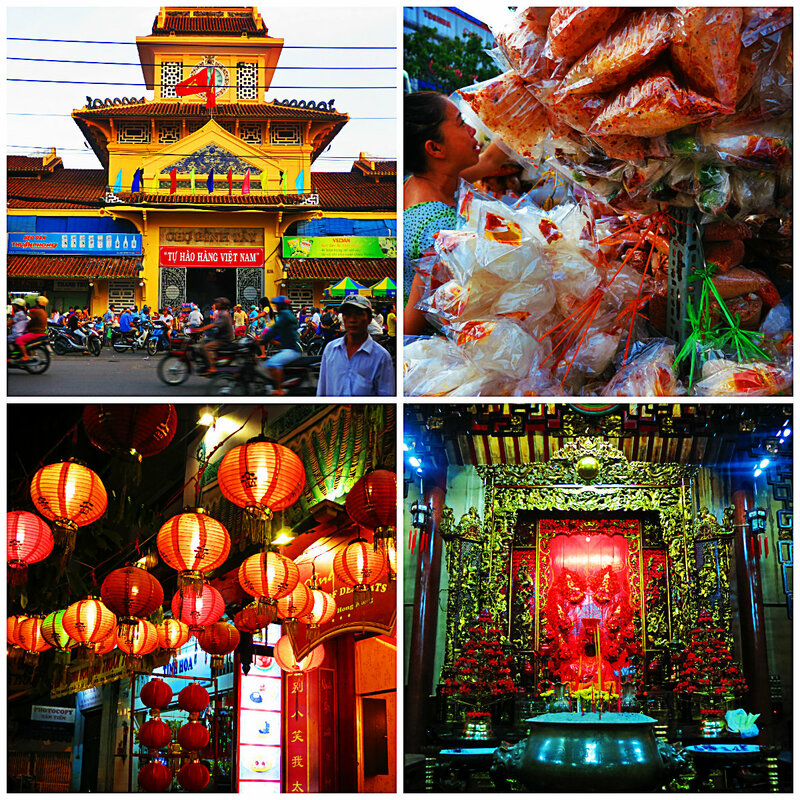 We only got to spend 2 full days in total in Saigon and there is so much to see in this city. I’ll definitely come back one day to have another Saigon kick!